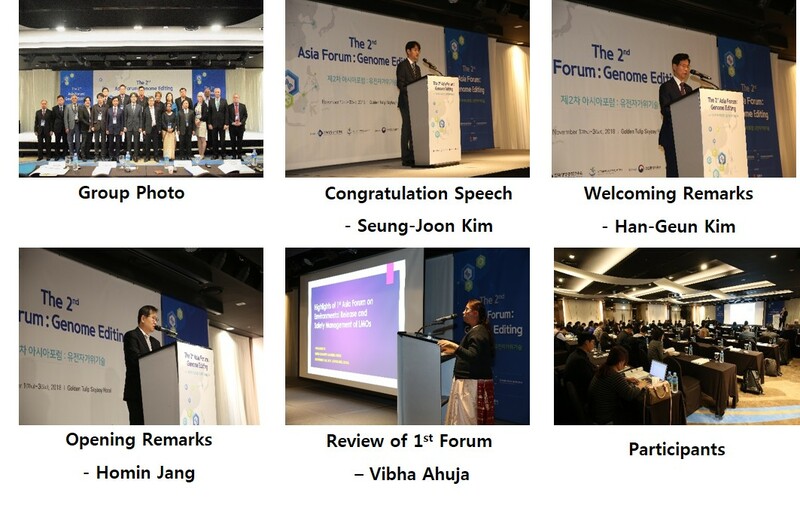 The purpose of the Asia Forum is the sharing of ideas and conduct of discussions among each of the countries regarding the concerns that exist related to the development of biotechnology, and ultimately contributing to its stable and healthy development. If consensus on safety management is strengthened and well-coordinated, this shall provide a basis for the broader reaping of the benefits of modern biotechnology, and the spreading of such benefits, surpassing the Asian region, to reach each of the nations of the world. This Forum focuses, among other biotechnology topics, on the development of genome editing technology, a recent genome modification technology, and whether it should be regulated or not. Such technology is developing rapidly, and is already at the point of making commercial achievements. On the other hand, the lack of a regulatory system, or skepticism raised over the actual necessity of safety management, is an issue that is creating confusion within each of the nations, and throughout the world as a whole. The theme of this Forum is based on such circumstances. KBCH sincerely hope that this Forum shall contribute in the policy decisions related to genome editing technology of not only our country, but of each of the countries that are represented here today. For this aim, we wished for the participation of related personnel and experts in government and various institutions of Korea. Thank you very much for all participants of the 2nd Asia Forum. Current page is the first page. This portal is developed to create a network for Asia BCH Family countries to enhance the utilization of BCH, to improve the CPB implementation level, and to implement the roadmap. Furthermore, it is provided to the Asia BCH Family countries for the continuous preservation of biological diversity and the promotion of safe usage for LMOs through close communication.